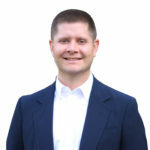 T Cox joined the SperryCGA-Griffin Partners team in 2019. T has years of experience in the corporate sales industry most recently with Synnex. T brings an array of knowledge into the commercial real estate industry. T is a graduate of Clemson University.